As I make use of photos of Bible places in teaching/preaching and writing, I tend to select shots of the biblical sites themselves without people (whenever possible). For example, this photo shows Beersheba of the Negev, home of the patriarchs and later designated as the southernmost border of Israel. Beersheba, southernmost city of Israel. Photo ©Leon Mauldin. Sometimes, however, it is helpful to have someone(s) in the photo to give a sense of scale and proportion. Beersheba w/Mauldin in photo center. Gives sense of proportion. Photo by Sandy Parker. 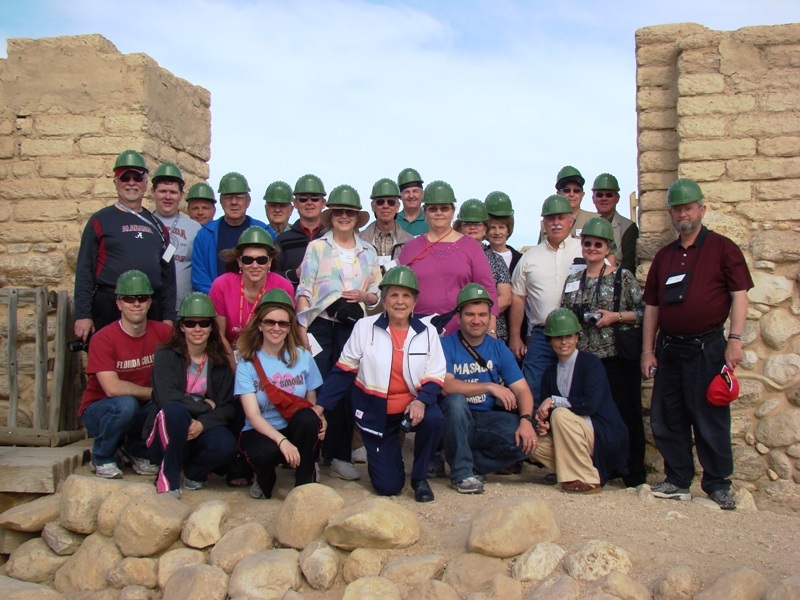 While visiting Beersheba (Tel Sheva) in March ’11, we took a group shot. Hardhats are required for one to walk through Beersheba’s water system. This photo was taken at the city’s gate. 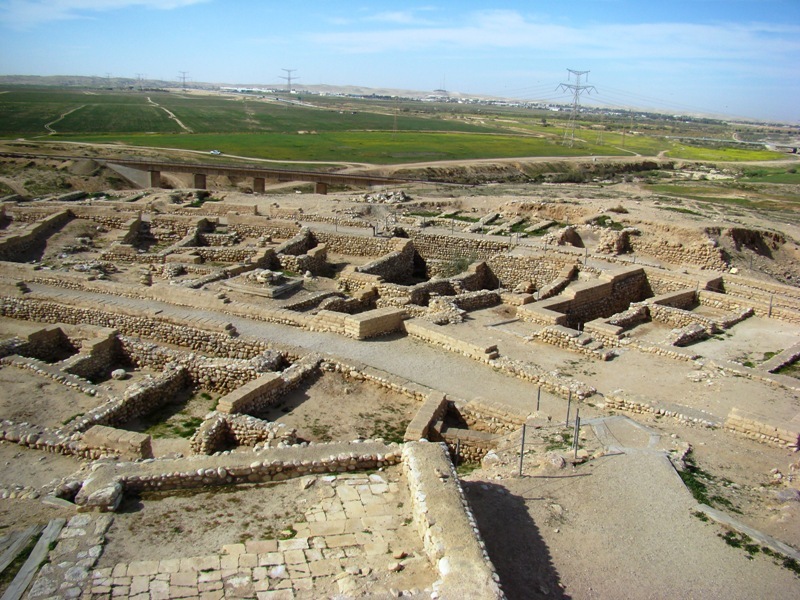 Beersheba. Group shot at City Gate. Photo ©Leon Mauldin. Click on images for larger view. 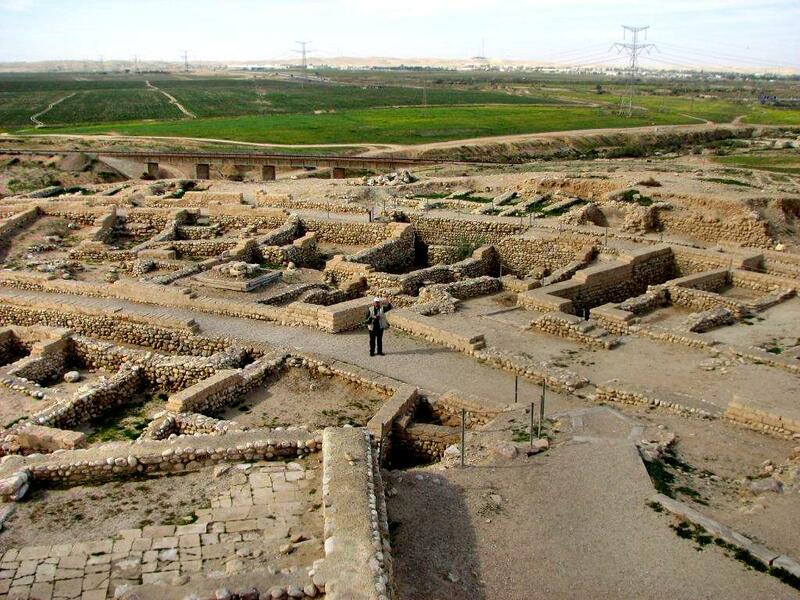 Previous posts of Beersheba may be found here and here. I am enjoying the meeting with the Kimberly church of Christ, speaking there each night at 7:30 through Fri. This entry was posted on Wednesday, June 8th, 2011 at 1:22 PM and is filed under Bible History and Geography, Bible Study, Old Testament. You can follow any responses to this entry through the RSS 2.0 feed. You can leave a response, or trackback from your own site.